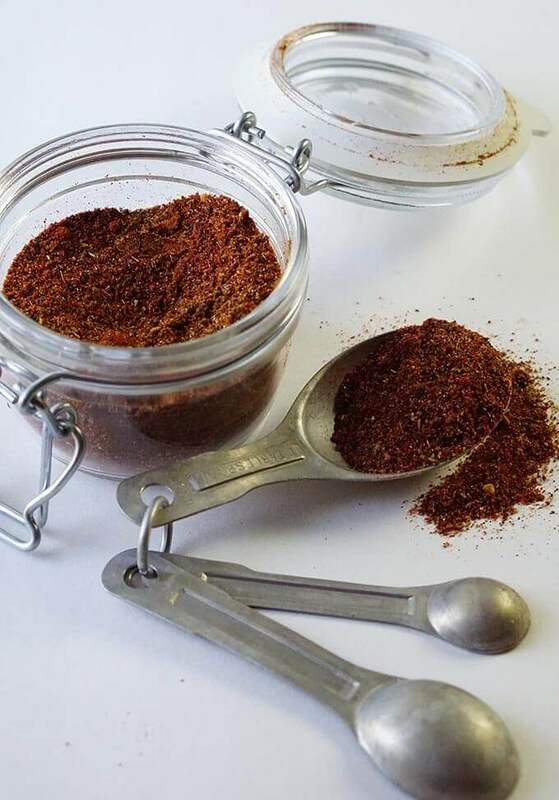 Taco Seasoning is super easy to make, tastes 100 times better than the seasoning in the packet and saves you money! Plus you can customize to your taste – spicy, mild – whatever you enjoy. So why not make it yourself? You’ll notice the title to this blog is a little different. It includes a hashtag #GetWellMichelle. That’s because I’m sharing a recipe from my friend and colleague Michelle. She blogs over at A Dish of Daily Life. 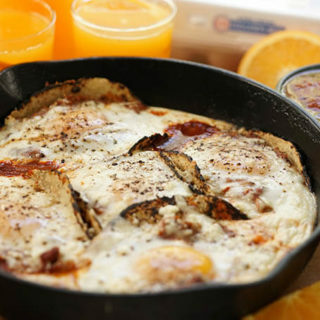 Michelle has a wonderful blog sharing stories and recipes for delicious meals, travel and a bit about the happenings of daily life. 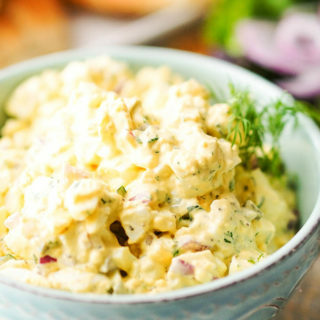 Michelle had surgery recently so a bunch of us food bloggers got together to share some of our favorite recipes from her blog. I chose to share her recipes for Taco Seasoning. You know me….I love a great taco! I’ve shared a ton of taco recipes with you – like my Baja Fish Tacos, Roasted Vegetables Tacos with Avo Lime Sauce and even tacos made in the slow cooker! There’s even more, just go to search and type in taco to see what you find. I’m thinking because I’m such a fan, maybe you are too. So…. 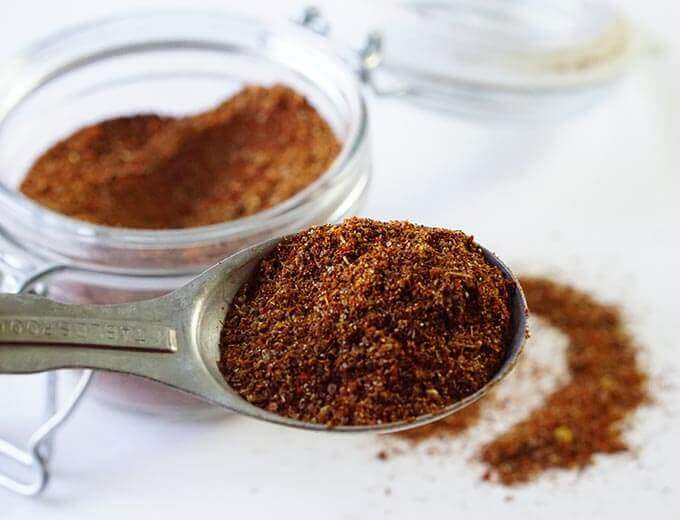 I knew you’d love this recipe for Taco Seasoning. That way you don’t have to purchase an expensive packet of taco seasoning and you’ll always have it available. 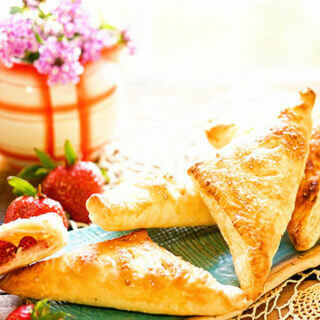 Why buy a packet when you have everything you need to make this at home?!!! Chili powder, cumin, red pepper flakes, garlic & onion powder, oregano, paprika, salt & pepper. That’s all it takes! Mix it all up and store it in an airtight container. It will keep for months. 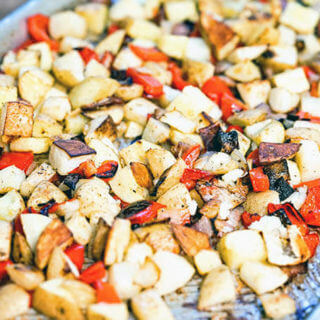 You only use two tablespoons per pound of meat, so this will last for several meals. Mix it all together and store it in an airtight container. 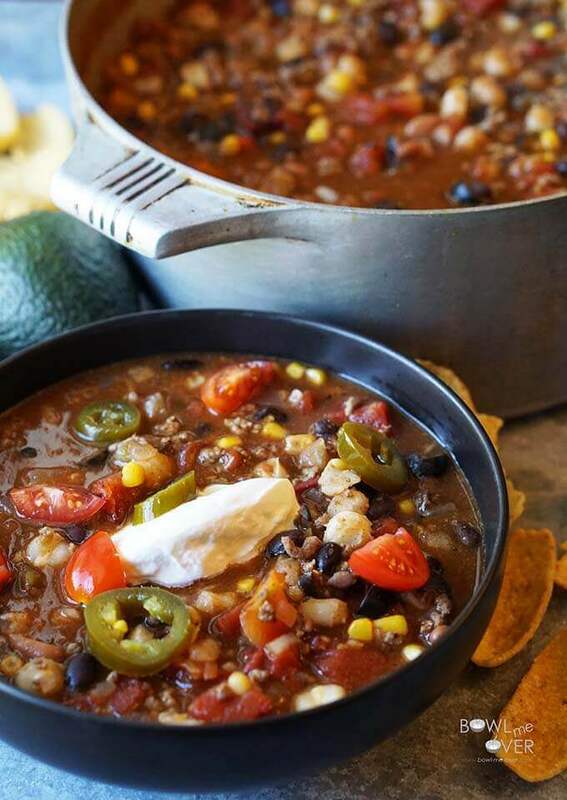 This will be perfect substitute for the packet for one of my favorite meals and most popular recipes on the blog – taco soup! It took less than 10 minutes for me to put the taco seasoning together. Simply store in in an airtight container and it will last for months. Next time you need seasoning add two tablespoons per one pound of meat. Easy enough, right? Here’s the recipe below! 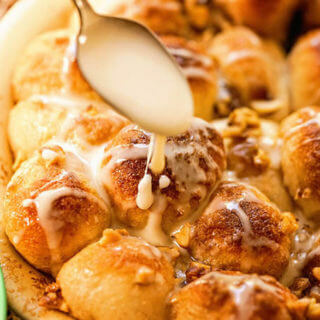 If you have a chance, swing by A Dish of Daily Life and check out the blog, I know you’ll really enjoy the recipes and the read! 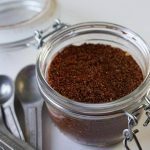 Taco Seasoning is super easy to make, tastes 100 times better than the seasoning in the packet and saves you money! Plus you can customize to your taste - spicy, mild - whatever you enjoy. So why not make it yourself? 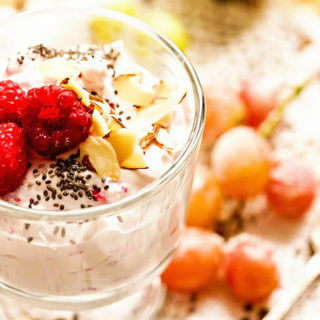 Combine all ingredients, mix well, and store in airtight container. Use 2 tablespoons per pound of beef, chicken or vegetables. 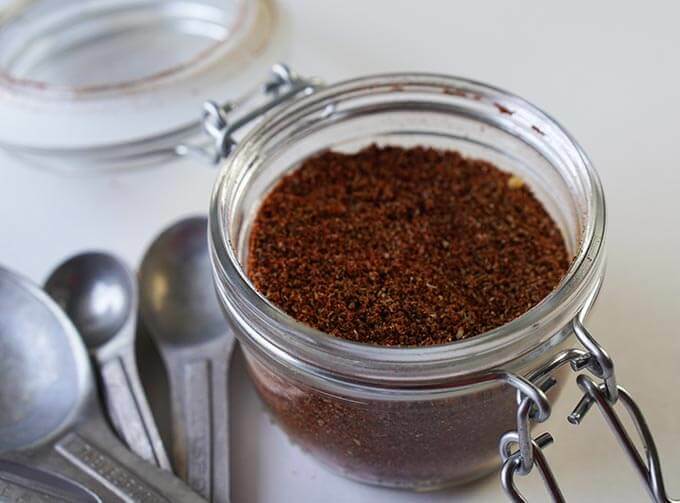 Taco Seasoning is super easy to make & tastes better than the packet. Customize to your taste – spicy or mild – so why not make it yourself? 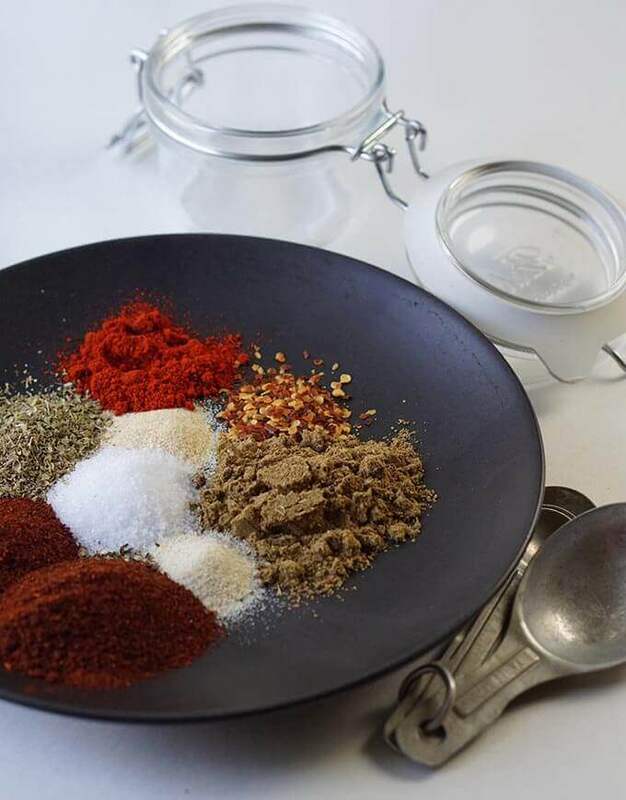 love all the flavours – i make a similar seasoning and use smoked paprika. I’ve got my eye on that taco soup, tho….so GOOD!! Smoked paprika only makes things better…right? 😀 And that Taco Soup??? Fabulous – enjoy Jacquee! You should see my spice cabinet… it’s overflowing – so yes, I have everything on hand to make my own taco seasoning! Thanks for sharing the ratios! Looks delish. On my hit list. YUM! Knowing what is in something makes it so much better. I love this! I completely agree Jamie and once you have it made, it’s just as easy as the packets! This is a much better idea than using the seasoning packets! I usually line up a pile of jars and add the spices separately when I make tacos. Mixing them all into one jar would be very useful. Thanks! Anything to make life a little easier, huh? 😀 Thanks Annemarie! Such a nice thing to do for your friend! 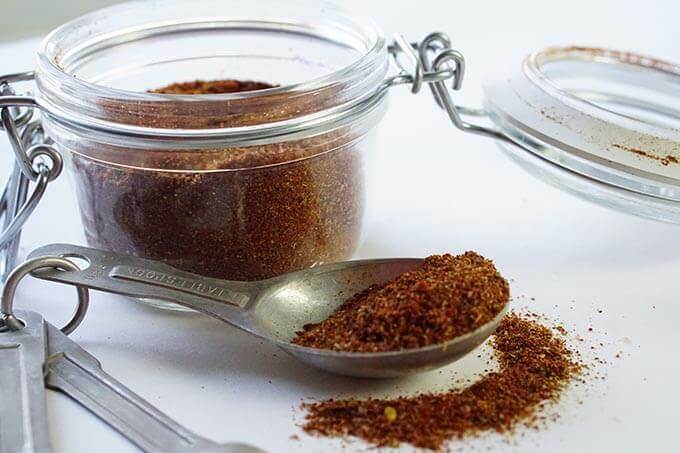 And you’re so right – making your own taco seasoning is super easy! I love that you get to control the ingredients unlike buying those packets that have a TON of sodium and other not so good for you additives. I’ll have to use this mix the next time I make up a batch! Yes and it would store for several months, but of course as often as we make tacos? I don’t think it will last that long. This looks delicious!! I love making my own mixes. They’re so tasty and better for you. Me too – control the ingredients much better!